Our New York construction site accident lawyers represent contractors and labor personnel hurt at a job site. We represent both Union and non-Union workers. We also represent people injured walking by a construction site or scaffold. When the tallest crane in the country collapsed during Hurricane Sandy, the nation watched in agony as the boom dangled like a needle over West 57th Street in Midtown Manhattan. A personal injury lawsuit filed by our law firm involved approximately 10 different corporate entity defendants. These companies included the general contractor – Bovis Lendlease – as well as various subcontractors and supply companies. 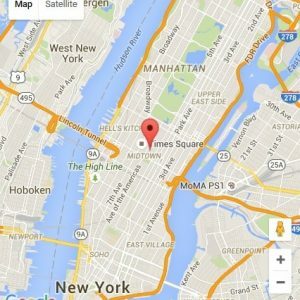 Hurt at a Construction Site in New York City? If you have been hurt a job site, promptly report the incident to the supervising officials. Obtain all necessary medical attention. A claim should be promptly filed under New York’s Workers Compensation Law. In addition, the accident should be reviewed by an attorney to determine all parties that may be responsible for payment to the injured party. When the victim’s employer is responsible for the accident, the compensation payments are arranged through the New York Workers Compensation Board. However, when a third party is also responsible, a separate lawsuit for additional compensation can be filed in the local court system.